Part of the care and maintenance of R, my sourdough starter, involves throwing out a bit of it with each weekly flour-and-water feeding. It's necessary: gets rid of some of the waste products that the yeast and bacteria generate, and stops the starter from taking over its jar, and from there my fridge, and from there the world. But it seems kind of wasteful to me to just toss it. 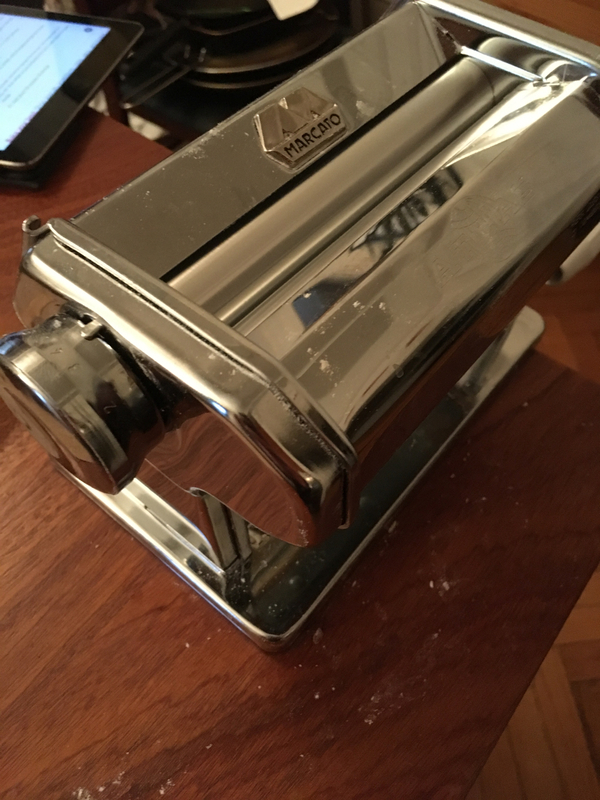 So I've been looking around for ways to cook with it, short of whipping up a whole loaf of bread. 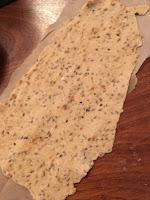 King Arthur Flour has been the source of a whole bunch of inspiration on that front. 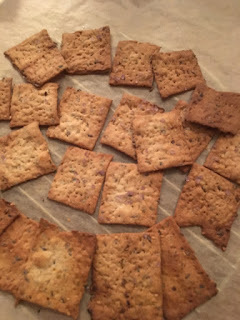 I've made sourdough waffles a couple of times and a batch of very tasty crackers. By the way, I learned a long time ago from Alton Brown that if you've got a pasta machine, it's by far the easiest way to roll dough to any arbitrary thinness you want, and so is great for making crackers. Most recently I whipped up a batch of popovers. 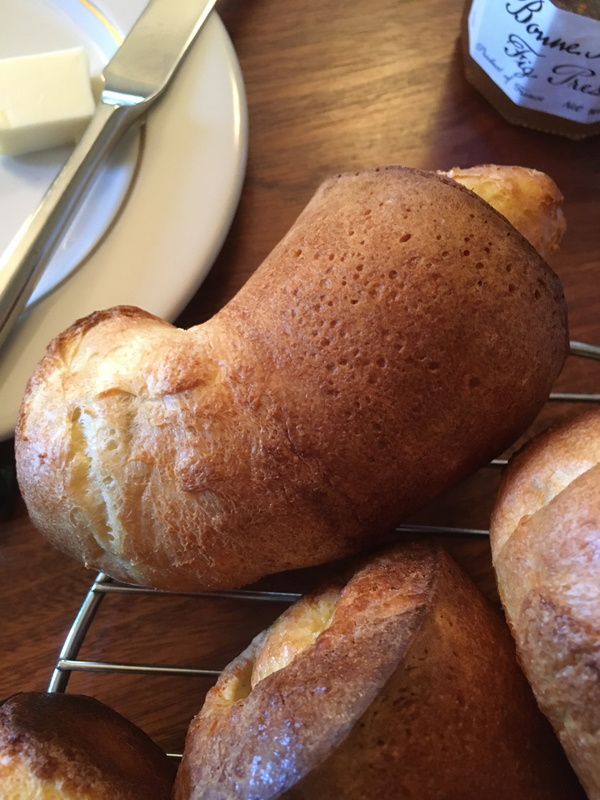 I always assumed you needed a proper popover pan to make them, and I bet they would've been prettier with one. 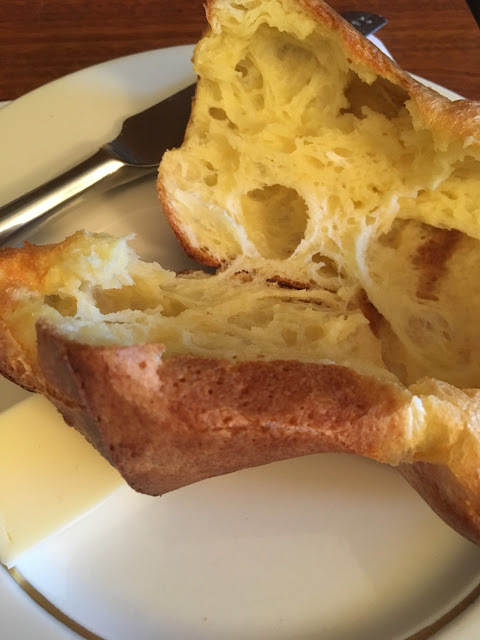 But, jeez, popovers are insanely easy to make. And check them out. They literally popped over. The King Arthur Flour recipe made a half dozen, perfect for me to eat for breakfast for a week, with various sweet or savory toppings. Check them out a whole pile of oddly-shaped baked deliciousness. I've certainly seen popovers that were more perfectly hollow on the inside, but I'm not complaining. Definitely light and puffy and slightly eggy and tangy. 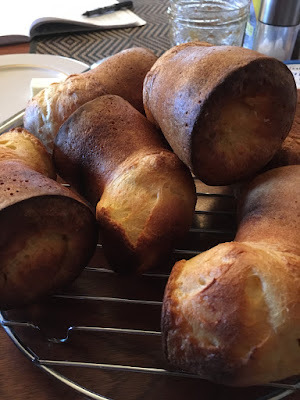 My only regret is that I didn't realize how easy popovers were to make a long time ago. 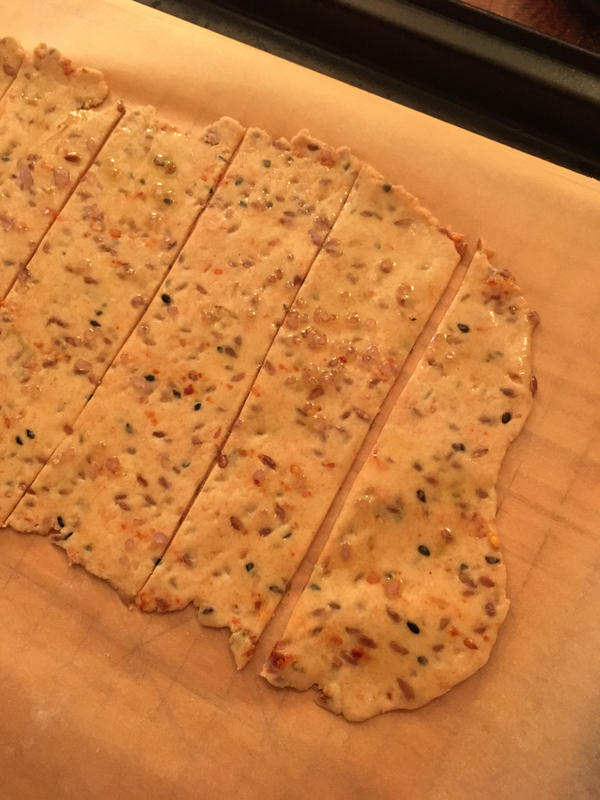 I'm going to have a batch ready next time people come over for brunch, and (assuming they haven't read this) impress the heck out of them.